Susan Krupa is a Superhero full of surprises. An athlete though and through, Susan has competed in her past and continues to participate in her life as an athlete today. She competes in crew, cycling, ice skating, curling, surfing, stand-up paddle boarding, and her newest passion, triathlons. Susan’s training at Mo-Mentum Fitness keeps her strong, mobile and helps her get her mind right everyday. This allows her to bring her A-Game to any competition and to her life everyday. 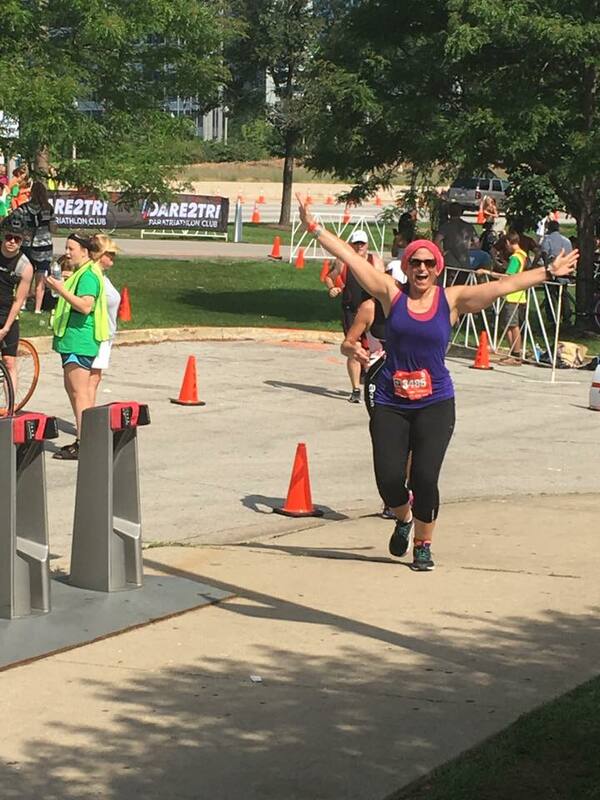 Susan recently took 3rd place in the Chicago Triathlon and is now training a Triathlon in Miami Florida for April 2017. Both Susan and her husband David are Mo-Mentum tribe members and they love working out together. We are always impressed and proud of how Susan constantly challenging her body and mind and spirit to her full potentials. She is a woman committed to living an EXTRAORDINARY life and in incredible inspiration! Congratulations, Susan! Describe what your life (and your health) was like before joining Mo-Mentum Fitness. I’ve always been active but what I haven’t always had a consistent group of fit friends that I can workout with every day. Was there ever a low point or an experience that made your priorities change? When did fitness come into your life? 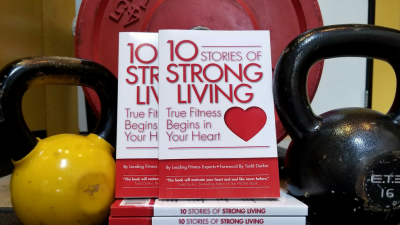 I have always been active and fitness has been a priority in my life since I was young and has been a tremendous resource for me both in school and in my work to channel stress. It is also something my husband David and I enjoy doing together! Strength and muscle definition. I used to just go to the gym, do an hour on the elliptical, lift some weights and call it a day. It wasn’t really challenging or exciting but now my strength has improved like crazy amounts to the point I can do stuff I never thought I would be able to do – like clapping push-ups! Yay! I have also noticed my other fitness hobbies like paddleboarding, cycling, and swimming are enhanced by my workouts at Mo-Mentum. I feel much less fatigued and sluggish than I used to. It’s easier to wake up in the morning and I sleep better at night. What changes have you seen and challenges you’ve had to overcome? Well, I do have to say eating-wise it’s been a bit of an adjustment. I’m vegetarian and always thought I was eating healthy but was missing a ton of protein. Every day I have to be intentional about eating protein or literally a week could go by and I wouldn’t eat any of it. This is made more difficult because I travel a fair amount and vegetarian food options on the road are already difficult to come by. So now, I pack a snack bag full of food whenever I travel. This has REALLY helped to make sure I have protein rich, vegetarian food options for the long days on the plane and in locations where vegetarian proteins are nonexistent. Because I love to work out. There is nothing better than being able to move, lift, and run without it seeming like you are going to die. That’s way less fun. Anything surrounding food, fitness, friends, and the ocean. Since doing the challenge last year and focusing on my nutrition, my body has completely changed. I haven’t lost weight at all but I’m stronger and leaner and clothes fit differently. I also for the first time in my life don’t care what I weigh. In fact, I’m proud to be in the heavyweight class for triathlons. Weight doesn’t matter – how I feel and physical strength is where it’s at. I can probably outrun and outlift all my light, “skinny” friends. Congratulations, Susan. You are truly Superhero material.